I was back to Blake Hall, Ongar again for our first wedding cake of 2016 for Jeni and Neil’s wedding on Easter Sunday. They held their wedding ceremony in the Essex barn under a Chuppah which looked stunning. The weather was a bit hit and miss (wind, rain) but luckily held off for their photographs – phew! 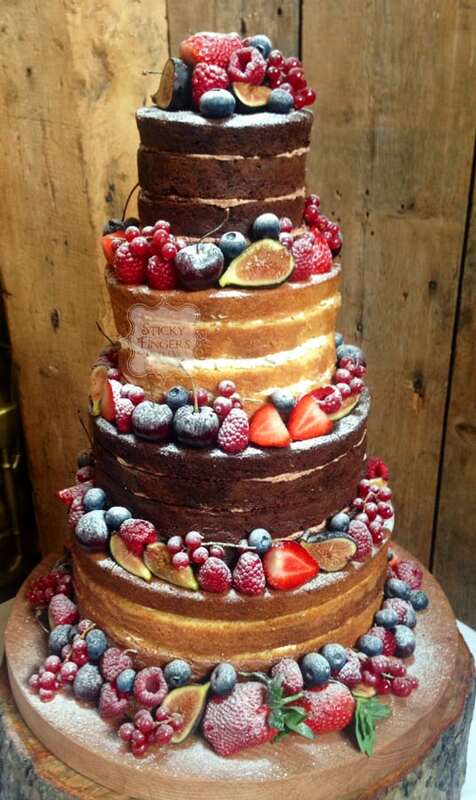 Jeni and Neil chose to have a 4 tier Naked Wedding Cake with a mixed fruit decoration, including figs, and the flavours they chose were lovely lemony lemon cake, 2 tiers of dark chocolate and Madagascan vanilla.